Anchor captures revisions (versions) of each file stored in the system, allowing users to view or restore older revisions if necessary. The Revisions feature is one of many data protection features available to end users. To learn about viewing and restoring deleted files and folders in the web portal, please reference the How Do Administrators Restore Deleted Files in the Web Portal Knowledge Base article. To learn about the Revision Rollback feature, which is available in the web portal, please reference the Rollback of Revisions Knowledge Base article. In the web portal, right-click a file and select Revisions. 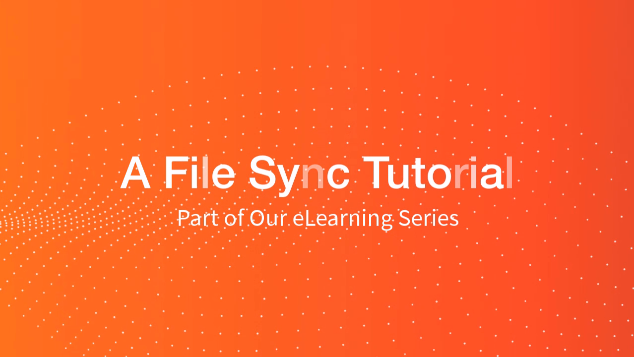 Alternatively, in Synced Folder, right-click a file, point to the Synced Folder menu, and select Revisions. 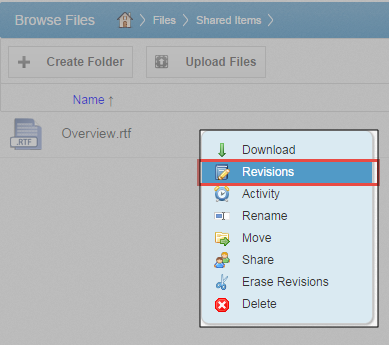 In the Browse File Revisions page, use the Download Revision and Restore Revision links to manage file revisions. Click the title of the file to view the file in the Web Preview tool. The Web Preview tool will allow you to quickly review the content of the revision without needing to download the file to your local machine. Click the Download Revision link to download a previous revision. The file will download, and you can review the previous revision. Alternatively, click the Restore Revision link to overwrite the current file with the previous revision. The overwritten revision will still be listed as a revision in the Browse File Revisions page.